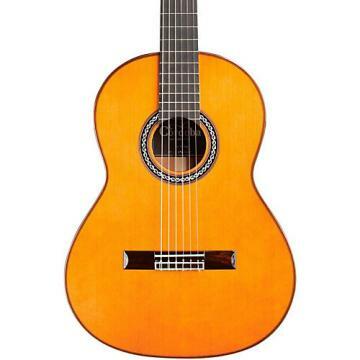 The C1 3/4 is a smaller body-size nylon string Spanish-style guitar featuring a 615mm or 24.2" scale length (3/4 size). It belongs to the Protg by Cordoba line, a series of high-quality instruments created to provide aspiring young guitarists with a comfortable first guitar that's easy to learn on and play. Offered in full, half, three-quarter, and one-quarter sizes, the Protg by Cordoba models feature the classic combination spruce tops with mahogany back and sides, rosewood bridges, rosewood fingerboards, a Hauser-style wood-inlaid mosaic rosette, nickel tuning machines, premium Savarez strings, and a high gloss polyurethane finish. All Protg by Cordoba guitars also include a two-way truss rod and a Cordoba gig bag. better than 3/4 size Yamaha. Has truss rod, better strings, sound, and finish. comes with travel bag. .What I like most about my Protege' is that it doesn't have unwanted transients echoing within the soundbox area, especially on the nylon strings. I installed Gali Genius soft tension strings & it woke up this great guitar even more! There is a slight rattle in the interior bracing when the bass notes are played in a chord, down in the first position though. I tried out many guitars at local "big-chain" guitar stores & I haven't found any that could compare to my Cervantes Hauser Cedar & Palo Escrito. With that in mind,(& not to be name-dropping) this guitar sounds close to the sound quality of my Cervantes. The only difference is that the Protege' does not have yet the tonal midrange frequency response as compared to a more expensive higher-quality classical guitar. For the price, the sound & build quality just cannot be beat, hands down! My Cervantes cost 10-times more than the Protege; I wouldn't think twice on it sitting in a car all day. .As a rule-of-thumb, the notion that solid-topped guitars always sound better than laminated-topped ones is well established. In my decades of experience, there have been some notable exceptions. The over-achieving Cordoba C1 Protege is one of these jewels. The highly-regarded, Cordoba Cadete, which I owned for several years before selling it, was an adequate, Chinese-made instrument in every respect...no glaring faults and, in my estimation, no outstanding virtues. It was small (which was good), and it played small (which was not so good, considering its price). 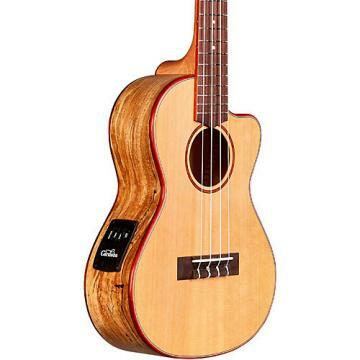 Yes, it had a solid cedar top, but it was always less resonant and clear-toned than I expected, a characteristic not overcome by several different brands of strings. Recently, I purchased a Cordoba C1 Protege...virtually the same, Chinese-made guitar except fitted with a thin, laminated top rather than a solid one. Guess what? This particular Protege is more resonant and tonally-accurate than my Cadete was. How musical? I have an ever-changing fleet of guitars, but this little guy has become my favorite 'go-to' rig for relaxed playing. The Cordoba Protege (and Cadete) features a truss rod, which is unusual on a classical guitar and subject to some purist controversy. I personally believe it's a significant innovation that does nothing to affect the guitar's sound and, in some cases, may save an owner significant repair expenses should the nect relief require tweaking for whatever reason. Bravo Cordoba! The bottom line: my new Protege is simply a better guitar than my Cadete was...at half the price. 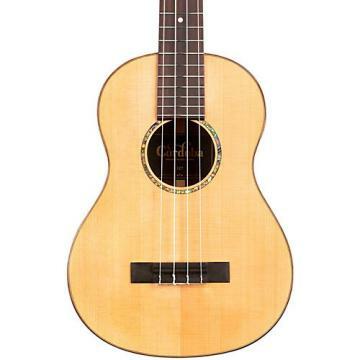 An adult player would do well to check out the Protege before laying out more money for the more fragile, solid-topped instrument (a laminated top being inherently more resistant to humidity-induced damage that can arise when traveling). And for children, this is DEFINITELY the ticket. .I'm soooo happy with my guitar. It's affordable. When I received it was packed very good. It is more than I expect. I'm so happy and highly encourage you to buy it. Eveyone asked me about it. .Nearly impossible to play VERY high action.